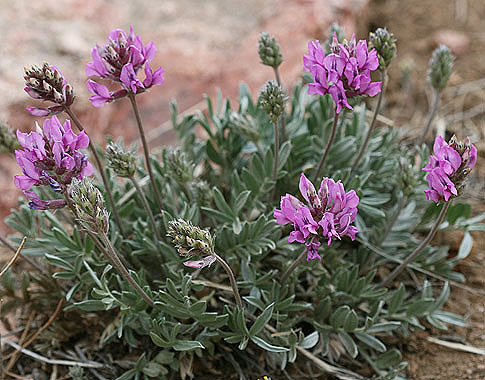 Oxytrpois lambertii is a common plant in the foothills and lower montane. 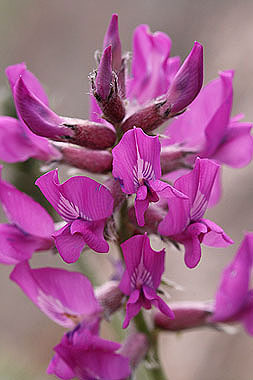 Flowers are a bright red-purple with white streaks at the bottom of the banner. Flowering stems are upright and leafless. 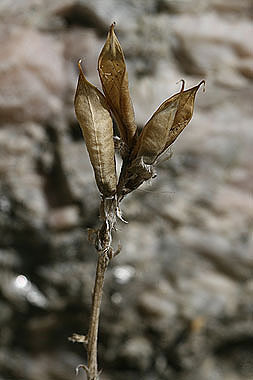 Seed pods are held upright on the stems.